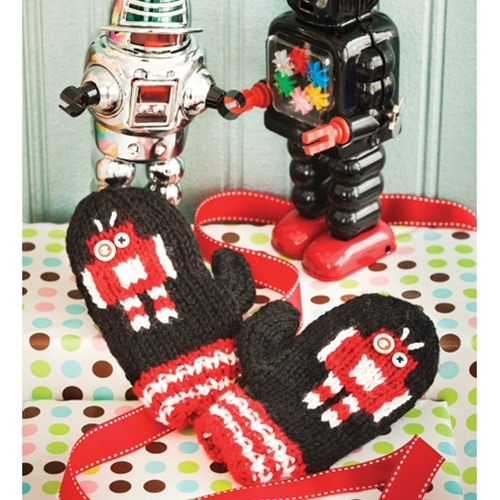 There’s nothing mechanical about the hand-knit charm stitched into a pair of robot-motif mittens with striped cuffs. Sized for Child’s 4, 6 and 8. Shown in size 4. 16 sts and 24 rows to 4"/10cm over St st using larger needles.